Due to the expiration of an existing surcharge, the United States Postal Service will be forced to reduce postage on Sunday, April 10, 2016. One ounce First class letters will receive a 2 cent reduction. The charge for additional ounces will be reduced from 22 cents to 21 cents on First Class letters. One ounce international letters will receive a 5 cent reduction. Presorted mail of all classes will also receive a postage reduction. For detailed rate tables, download the excel file found on the Postal Explorer website and be sure to view the different sheets of the workbook. 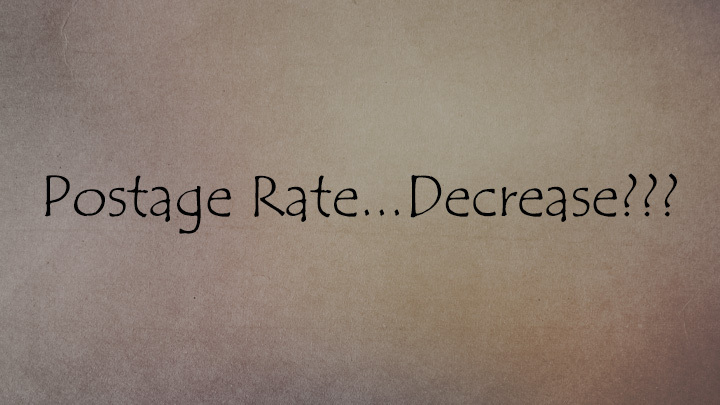 Feel free to call, email, or contact us through our website with any questions on how these rate changes will affect your business mail.